SELAMAT DATANG DI SURGA KITA! FLORES is an island in the tropics south of the equator, belonging to the lesser Sunda Islands (Nusa Tenggara Timur) of Indonesia. The original name of Flores is Tandjoeng Bunga, Malay for flowercape. When the Portuguese came to the island they renamed it into Cabo de Flores and the Dutch shortened it into Flores which means flowers. 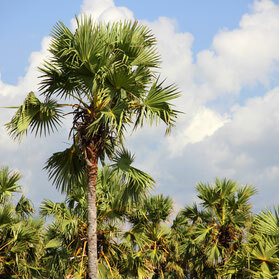 FLORES is mostly green, partly dry, mountainous and heavenly beautiful. Flores has everything when dreaming of a tropical island. FLORES has some gorgeous touristic attractions like the prehistorically komodo dragons, the “Spielberg like” Kelimutu lakes, majestic volcanos like Inerie and Ebulobo and traditions we have almost forgotten in this hasty world. And much more. Come and see the empty beaches, enjoy wonderful diving, adventurous trekkings, deserted islands, pristine forests, all colour lakes, hidden waterfalls, impressive ceremonies, traditional villages, awesome music, interesting ikat (woven cloth) and above all the welcoming people of Flores. Superb is the only word which fits them all. You will be surprised by this warm and cool island. 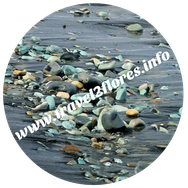 This website is for information and anything you need for your holiday on Flores. As I am not an agent I do not sell packages. However, I will be happy to help you to compose a trip on Flores which suits you and I can find you a car with driver for a fair price. I am "working" together with drivers and guides who I know personally. No fee, no commission, everything without any profit. 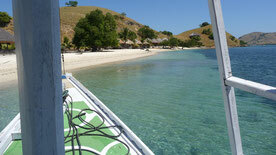 My mission is to help travelers and get the tourism on Flores on a higher level. Tourists happy with fair prices and good information, locals happy to get an income from tourism which is badly needed as Flores is one of the poorest islands of Indonesia. If you are satisfied with the information and/or the result please tell me, preferably via the comment page. If you are not, please let me know as well. 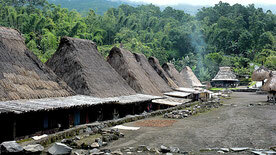 People of Flores are awaiting you and will be proud to show you their island. Please pay attention to the sections about renting a boat/book for a seat-in tour, especially for Komodo NP and hiring a car with driver. This growing website is made with love and passion. Colours are well chosen: green (forest & ricefields), blue (sea and rivers) and brown (mountains & traditional houses), the colours of Flores. 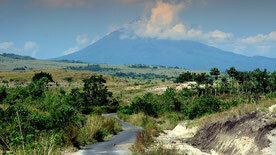 You will find here travel information about the island of Flores, which will be updated frequently. Questions, suggestions and comments are always welcome. +6281284773377 (WhatsApp messages or calls via WhatsApp, as I am most of the time in the Netherlands). Please take notion of difference in time with your country.